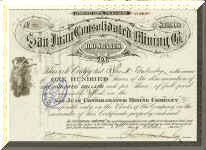 Issued March 5, 1895, uncancelled. Mining property just above the Town of Aspen, on Ajax Mountain (now, great skiing), Pitkin County, Colorado. 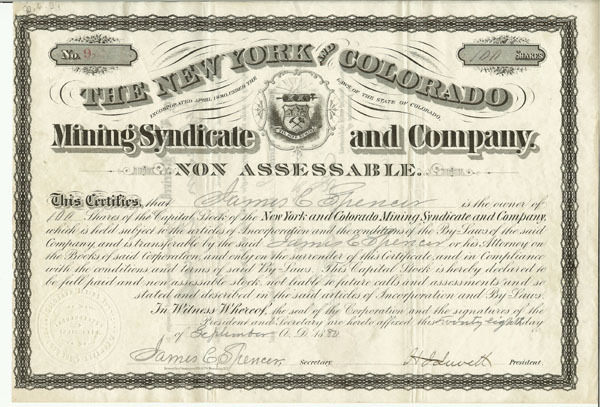 One of the most important silver producers in the State of Colorado. 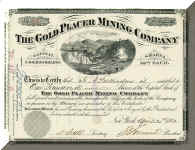 Signed by Percy Hagerman, son of one of the founders of the Colorado Midland Railroad, James J. Hagerman. 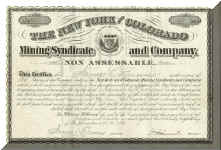 American Bank Note Company, New York, printing. Near fine condition; usual folds. 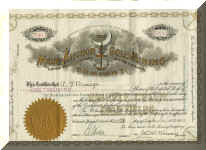 Issued September 28, 1910, uncancelled. 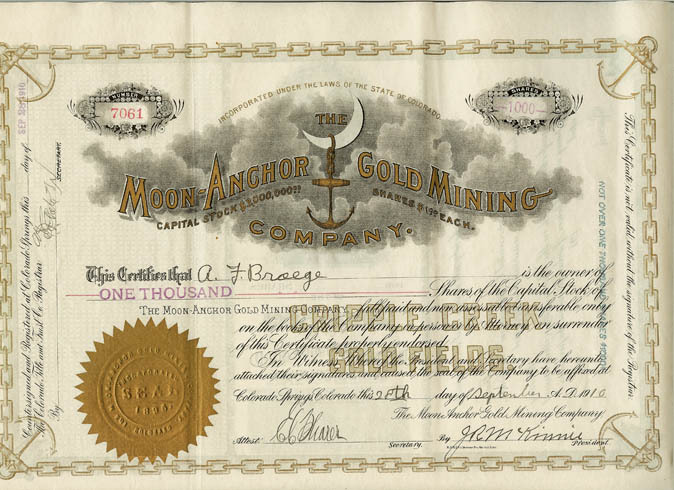 Mining property in Cripple Creek Gold Fields, Colorado. 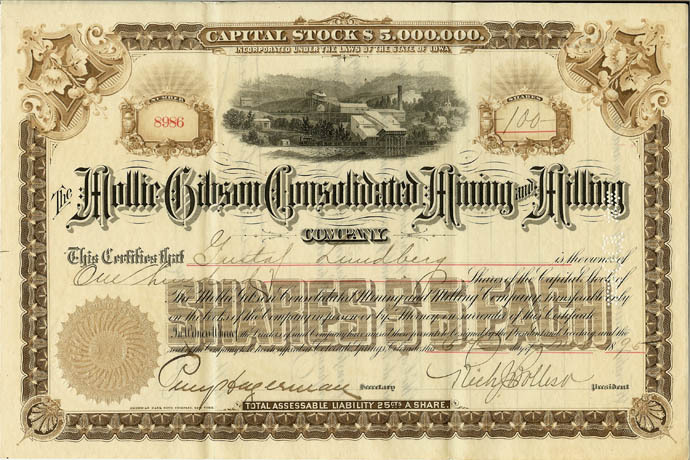 Signed by J.R. McKinnie as president. Certificate is over-sized, not cropped (scanner bed isn't large enough), near fine condition, usual folds. 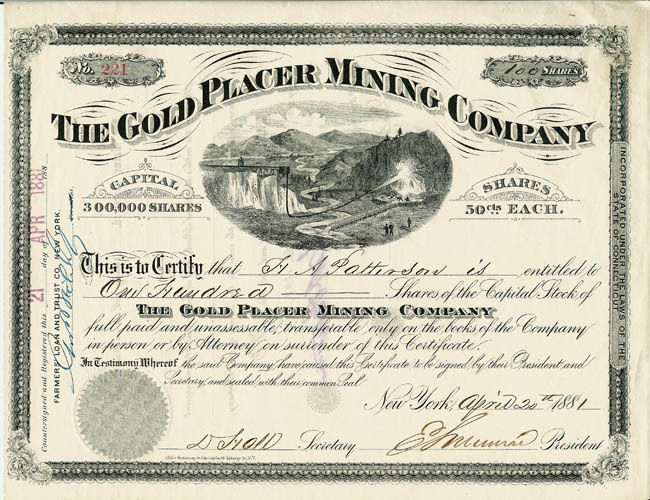 A Cripple Creek Gold Mining District classic! Issued September 28, 1880, uncancelled. 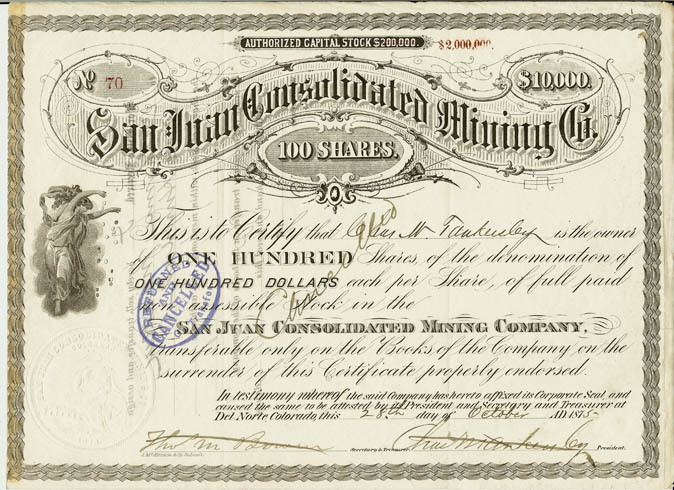 Mining property located on gregory mountain near Black Hawk, Gilpin County, Colorado; on Teller mountain, near Montezuma, Summit county, Colorado; and on Columbus mountain, near Garfield, Chaffee county, Colorado (CORREGAN AND LINGANE, COMPILERS OF THE 1883 COLORADO MINING DIRECTORY). 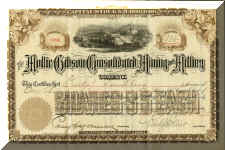 Certificate #9; near fine condition; usual folds. Bower Bros., Stationers, New York.